Gregg Coker, D.C., is a chiropractor located in Tulsa, OK. Techniques: • Upper Cervical • Spinal Biomechanics Take the next step and contact Dr. Gregg Coker, D.C., for a consultation in Tulsa, OK or to get more information. Thomas R Elliott Jr, D.C.
Thomas R Elliott Jr, D.C., is a chiropractor located in Tulsa, OK. Take the next step and contact Dr. Thomas R Elliott Jr, D.C., for a consultation in Tulsa, OK or to get more information. James P Rhodes, D.C., is a chiropractor located in Tulsa, OK. Take the next step and contact Dr. James P Rhodes, D.C., for a consultation in Tulsa, OK or to get more information. Jim Raney, D.C., is a chiropractor located in Tulsa, OK. Take the next step and contact Dr. Jim Raney, D.C., for a consultation in Tulsa, OK or to get more information. Kurt L. Ochsner, D.C., is a chiropractor located in Tulsa, OK. Techniques: • Diversified • Gonstead • Logan Basic • Cox • Motion Analysis (Palpation) • Thompson • Malley Extremities Take the next step and contact Dr. Kurt L. Ochsner, D.C., for a consultation in Tulsa, OK or to get more information. Rick Bewley, D.C., is a chiropractor located in Tulsa, OK. Techniques: • Activator Methods • Diversified • Gonstead • massage Take the next step and contact Dr. Rick Bewley, D.C., for a consultation in Tulsa, OK or to get more information. Eric Curley, D.C., is a chiropractor located in Tulsa, OK. Take the next step and contact Dr. Eric Curley, D.C., for a consultation in Tulsa, OK or to get more information. Jonathan K Bergman, D.C., is a chiropractor located in Tulsa, OK. Techniques: • Diversified • Gonstead • Traction • Trigger Point Therapy • Manual Adjusting • Neuro Muscular Technique Take the next step and contact Dr. Jonathan K Bergman, D.C., for a consultation in Tulsa, OK or to get more information. Tomas G. Martinez, D.C., is a chiropractor located in Tulsa, OK. Techniques: • Diversified • Thompson • Sacro Occipital Technique Take the next step and contact Dr. Tomas G. Martinez, D.C., for a consultation in Tulsa, OK or to get more information. Craig H Hayes, D.C., is a chiropractor located in Tulsa, OK. Techniques: • Diversified • Gonstead • Activator Methods • Active Release Technique Take the next step and contact Dr. Craig H Hayes, D.C., for a consultation in Tulsa, OK or to get more information. Mark Morrisett, D.C., is a chiropractor located in Tulsa, OK. Take the next step and contact Dr. Mark Morrisett, D.C., for a consultation in Tulsa, OK or to get more information. James Redding, D.C., is a chiropractor located in Tulsa, OK. Take the next step and contact Dr. James Redding, D.C., for a consultation in Tulsa, OK or to get more information. Terry Tatum, D.C., is a chiropractor located in Tulsa, OK. Techniques: • Diversified Take the next step and contact Dr. Terry Tatum, D.C., for a consultation in Tulsa, OK or to get more information. Keith G Ryan, D.C., is a chiropractor located in Tulsa, OK. Techniques: • Chiropractic Biophysics • Soft Tissue Orthopedics • Total Body Modification • Traction • Trigger Point Therapy • Upper Cervical Take the next step and contact Dr. Keith G Ryan, D.C., for a consultation in Tulsa, OK or to get more information. Bernard C Fuh, D.C., is a chiropractor located in Tulsa, OK. Techniques: • Spinal Biomechanics • Pettibon • CLEAR INSTITUTE • Scoliosis Correction Take the next step and contact Dr. Bernard C Fuh, D.C., for a consultation in Tulsa, OK or to get more information. Gerald Busin, D.C., is a chiropractor located in Tulsa, OK. Techniques: • Gonstead • Diversified Take the next step and contact Dr. Gerald Busin, D.C., for a consultation in Tulsa, OK or to get more information. William E Mead III, D.C.
William E Mead III, D.C., is a chiropractor located in Tulsa, OK. Techniques: • Palmer Package • Diversified • Gonstead Take the next step and contact Dr. William E Mead III, D.C., for a consultation in Tulsa, OK or to get more information. Bobi Raney, D.C., is a chiropractor located in Tulsa, OK. Take the next step and contact Dr. Bobi Raney, D.C., for a consultation in Tulsa, OK or to get more information. Rebekah S Nunn, D.C., is a chiropractor located in Tulsa, OK. Techniques: • Activator Methods • Chiropractic Biophysics • Diversified • Manual Adjusting • Thompson • Total Body Modification Take the next step and contact Dr. Rebekah S Nunn, D.C., for a consultation in Tulsa, OK or to get more information. Robert Nesselrode, D.C., is a chiropractor located in Tulsa, OK. Take the next step and contact Dr. Robert Nesselrode, D.C., for a consultation in Tulsa, OK or to get more information. Matthew D Hunt, D.C., is a chiropractor located in Tulsa, OK. Techniques: • NUCCA • Bio Cranial Take the next step and contact Dr. Matthew D Hunt, D.C., for a consultation in Tulsa, OK or to get more information. Robert Brooks, D.C., is a chiropractor located in Tulsa, OK. Techniques: • NUCCA Upper Cervical Take the next step and contact Dr. Robert Brooks, D.C., for a consultation in Tulsa, OK or to get more information. Mary Marshall, D.C., is a chiropractor located in Tulsa, OK. Take the next step and contact Dr. Mary Marshall, D.C., for a consultation in Tulsa, OK or to get more information. Michael K Taylor, D.C., is a chiropractor located in Tulsa, OK. Take the next step and contact Dr. Michael K Taylor, D.C., for a consultation in Tulsa, OK or to get more information. Howard F Neeman, D.C., is a chiropractor located in Tulsa, OK. Techniques: • Diversified Take the next step and contact Dr. Howard F Neeman, D.C., for a consultation in Tulsa, OK or to get more information. David W Fike, D.C., is a chiropractor located in Tulsa, OK. Take the next step and contact Dr. David W Fike, D.C., for a consultation in Tulsa, OK or to get more information. F J Rick Huskey, D.C.
F J Rick Huskey, D.C., is a chiropractor located in Tulsa, OK. Take the next step and contact Dr. F J Rick Huskey, D.C., for a consultation in Tulsa, OK or to get more information. Drew Lawrence, D.C., is a chiropractor located in Tulsa, OK. Techniques: • Chiropractic Biophysics Take the next step and contact Dr. Drew Lawrence, D.C., for a consultation in Tulsa, OK or to get more information. Jason F Schluter, D.C., is a chiropractor located in Tulsa, OK. Techniques: • Gonstead Take the next step and contact Dr. Jason F Schluter, D.C., for a consultation in Tulsa, OK or to get more information. John P Krueger, D.C., is a chiropractor located in Tulsa, OK. Techniques: • Upper Cervical • Chiropractic Biophysics Take the next step and contact Dr. John P Krueger, D.C., for a consultation in Tulsa, OK or to get more information. Justin G Snyder, D.C., is a chiropractor located in Tulsa, OK. Techniques: • Diversified • Manual Adjusting Take the next step and contact Dr. Justin G Snyder, D.C., for a consultation in Tulsa, OK or to get more information. Lance Robinson, D.C., is a chiropractor located in Tulsa, OK. Take the next step and contact Dr. Lance Robinson, D.C., for a consultation in Tulsa, OK or to get more information. Reynaldo C Romero, D.C., is a chiropractor located in Tulsa, OK. Take the next step and contact Dr. Reynaldo C Romero, D.C., for a consultation in Tulsa, OK or to get more information. Bruce Frye, D.C., is a chiropractor located in Tulsa, OK. Take the next step and contact Dr. Bruce Frye, D.C., for a consultation in Tulsa, OK or to get more information. David Brock, D.C., is a chiropractor located in Tulsa, OK. Techniques: • Bio-Energetic Synchronization Technique • Diversified • Applied Kinesiology Take the next step and contact Dr. David Brock, D.C., for a consultation in Tulsa, OK or to get more information. Donna S Hathaway, D.C., is a chiropractor located in Tulsa, OK. Techniques: • Diversified • Activator Methods • Thompson Take the next step and contact Dr. Donna S Hathaway, D.C., for a consultation in Tulsa, OK or to get more information. Gerald Chicoine, D.C., is a chiropractor located in Tulsa, OK. Take the next step and contact Dr. Gerald Chicoine, D.C., for a consultation in Tulsa, OK or to get more information. Ronald E Williams, D.C., is a chiropractor located in Tulsa, OK. Take the next step and contact Dr. Ronald E Williams, D.C., for a consultation in Tulsa, OK or to get more information. Marcia L Gran, D.C., is a chiropractor located in Tulsa, OK. Techniques: • Diversified • Nimmo • Gonstead Take the next step and contact Dr. Marcia L Gran, D.C., for a consultation in Tulsa, OK or to get more information. Cinda Dutto, D.C., is a chiropractor located in Tulsa, OK. Take the next step and contact Dr. Cinda Dutto, D.C., for a consultation in Tulsa, OK or to get more information. Peggy Dailey, D.C., is a chiropractor located in Tulsa, OK. Take the next step and contact Dr. Peggy Dailey, D.C., for a consultation in Tulsa, OK or to get more information. 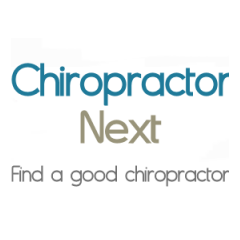 Dean J Scherer, D.C., is a chiropractor located in Tulsa, OK. Take the next step and contact Dr. Dean J Scherer, D.C., for a consultation in Tulsa, OK or to get more information. Brad M Hayes, D.C., is a chiropractor located in Tulsa, OK. Techniques: • Diversified • Applied Kinesiology • Soft Tissue Orthopedics • Palmer Package • Myofascial Disruption Techniqu Take the next step and contact Dr. Brad M Hayes, D.C., for a consultation in Tulsa, OK or to get more information. Ray Schoborg, D.C., is a chiropractor located in Tulsa, OK. Techniques: • Diversified Take the next step and contact Dr. Ray Schoborg, D.C., for a consultation in Tulsa, OK or to get more information. Travis D Standridge, D.C., is a chiropractor located in Tulsa, OK. Take the next step and contact Dr. Travis D Standridge, D.C., for a consultation in Tulsa, OK or to get more information. Doug Pray, D.C., is a chiropractor located in Tulsa, OK. Take the next step and contact Dr. Doug Pray, D.C., for a consultation in Tulsa, OK or to get more information. Jay P Craig, D.C., is a chiropractor located in Tulsa, OK. Take the next step and contact Dr. Jay P Craig, D.C., for a consultation in Tulsa, OK or to get more information.